With over 30 hearty delights from smoky grilled, ice-chilled or Singaporean style fresh seafood and a live BBQ station, Royale Restaurant makes a comeback with the popular Rasa Sayang Buffet that is running from now till 9 December 2018. 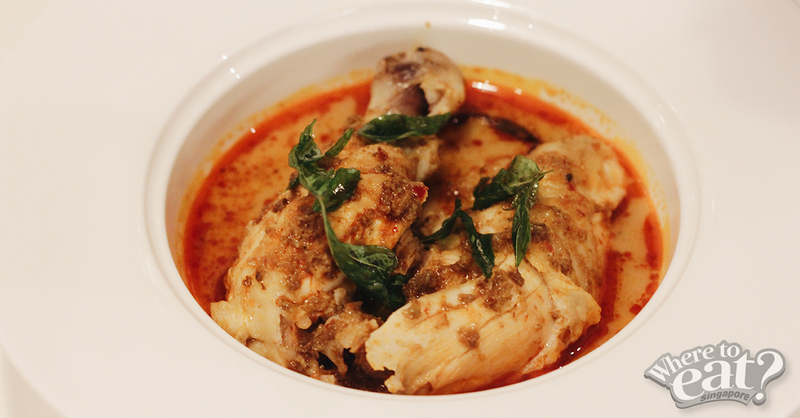 Situated right beside Bugis+, the Royale Restaurant makes a great escape from a tired day at work as you bask in the Singapore’s folk songs within an exquisite cosy environment – whilst enjoying your dinner. What’s more, there’s no need to pay the full buffet price at Royale when you can save up to 50% off for your lunch or dinner on certain days of the week (i.e. Ladies Night on Wednesdays)! 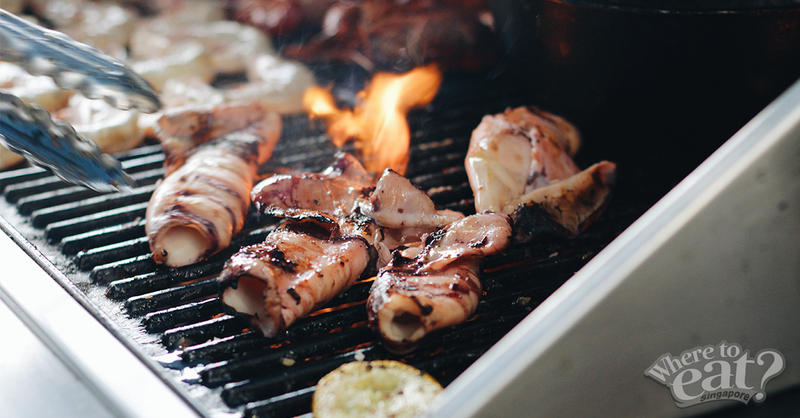 Revel in Grilled Sotong, Japanese Scallop with Minced Garlic, Mini Crawfish with Homemade Spices, Grilled Prawn, 12-Wonder Beef, Sweet Corn on Cob with Herbs and more at the live BBQ station. We loved the grilled scallops, especially its minced garlic sauce, that we ended up using it as a dip for our other grilled food. 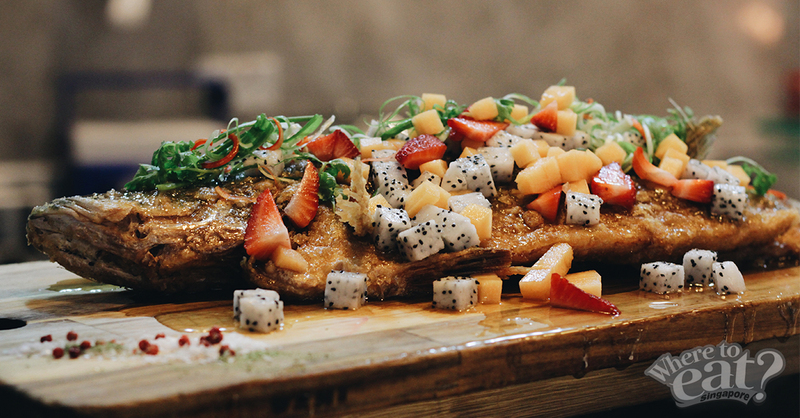 The colourful dish that caught our eyes, Deep Fried Seabass with Fruits Sauce, had us wondering if it could be similar to the sweet and sour dish we usually have. We, however, were taken aback with the crisp skin and subtle buttery, tender flakes of meat that was infused together with the sweetness of the fruits. 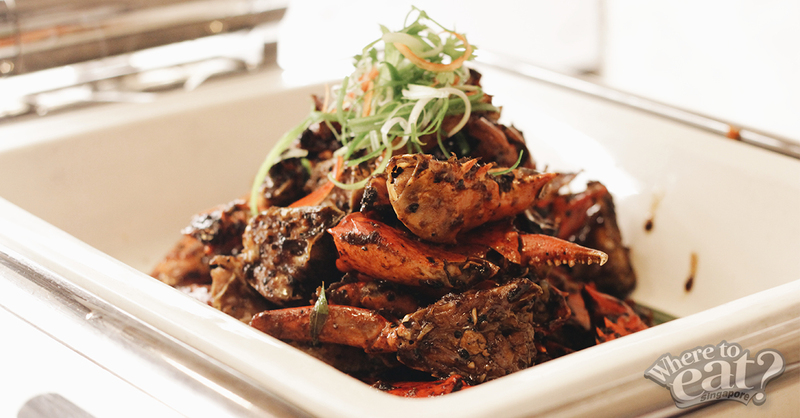 The Signature Black Pepper Crab certainly did not disappoint with the sweetness of the fresh crab meat and tasty black pepper sauce that lingers around the tastebuds. The black pepper, however, might come across as less peppery for avid Black Pepper Crab lovers. 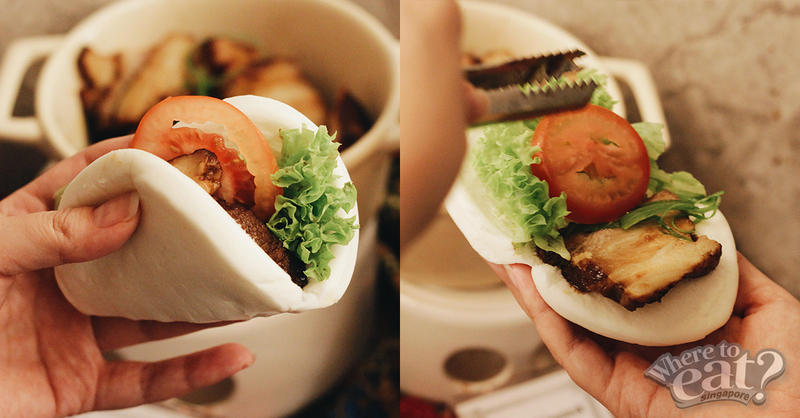 Choose between the family-favourite Braised Five Spice Pork Belly, Black Pepper Beef, or Sweet Turnip for your own DIY Asian Bao-wich. Opting for the classic Hokkien dish, which is also known as Kong Ba Bao, we had expected a little more tenderness from the pork belly in the Braised Five Spice Pork Belly Bao-wich. But because of its chewiness, the pork belly did not overpower the other ingredients and instead, brought out a wholesome flavour with different textures. Executive Chef Nicholas Sia gives a modern twist to a typical laksa dish with the Paper Bag Oven-Baked Laksa Chicken, that is marinated for 24 hours before being roasted in a paper bag, and then served in a richly fragrant spicy coconut broth of seven spices. Unlike any baked chicken, the paper bag retains the chicken’s moisture and flavour, making it flavourful, juicy and tender to our liking! A legit broth with the right amount of garlicky and peppery taste! 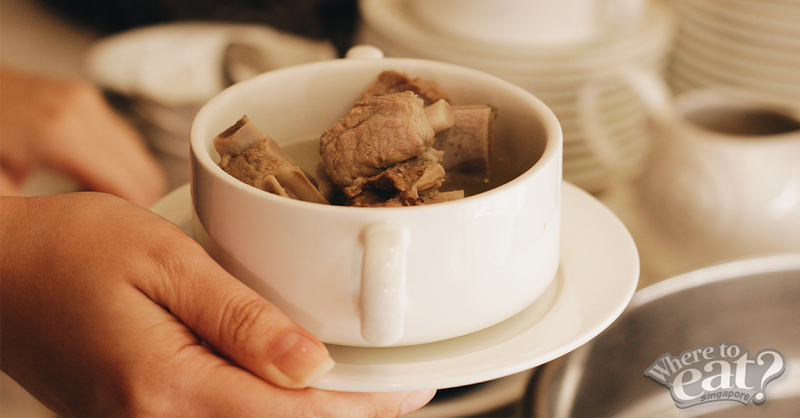 Pork ribs were tender and the broth is one that refreshes the taste buds, so you might want to indulge in this peppery goodness right before or after all the heavier foods. 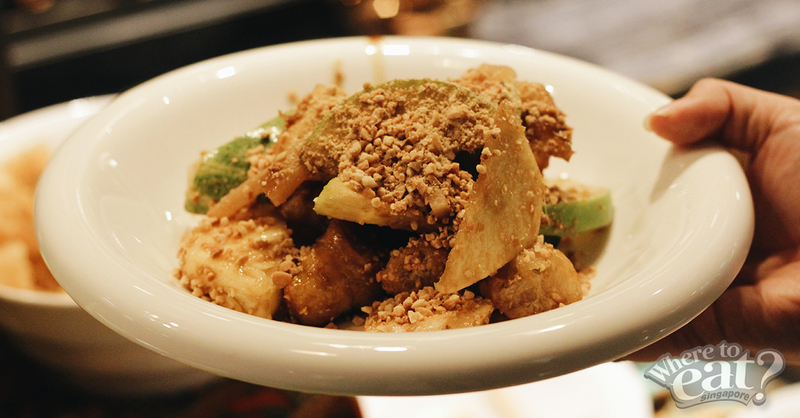 Not a fan of fruits in rojak? Nevermind that! There’s a Do-It-Yourself (DIY) Rojak Buah Petis (Fresh Fruit Salad with Grated Peanut & Shrimp Paste) where you can control the sweetness of the dish, add more peanuts, or replace the fruits with the deliciously crisp fried dough sticks (aka as youtiao). 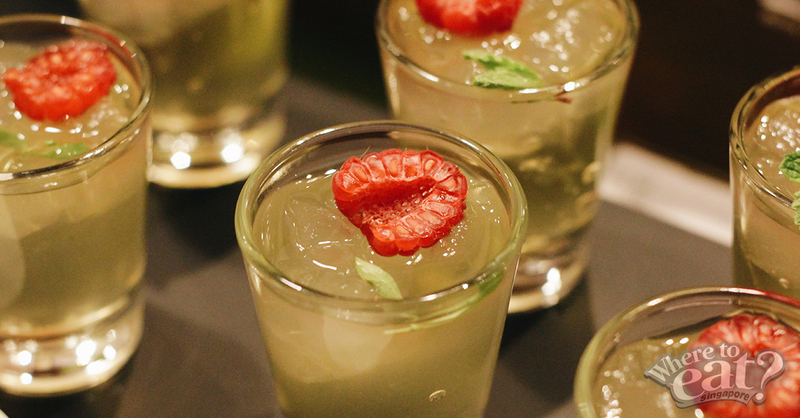 Have a “dessert stomach” like most of us do? 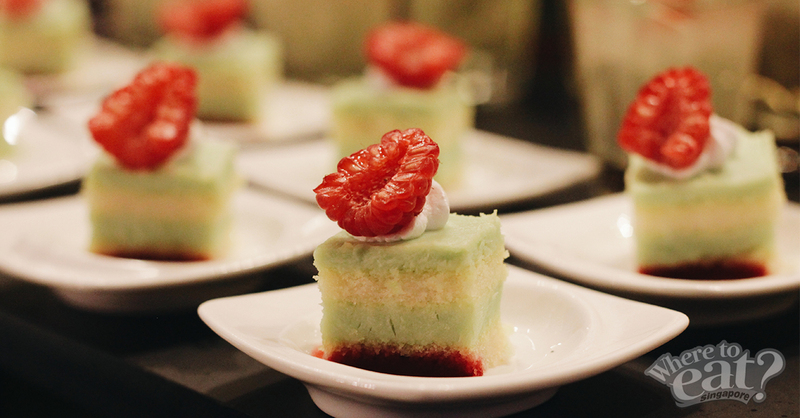 Locally inspired and pretty-looking desserts like Pandan Kaya Cake, Cempedak Cheese Cake and Durian Penyet can help fill that up. A differing sweet Singaporean experience from the typical desserts or pastries we usually have at other places. 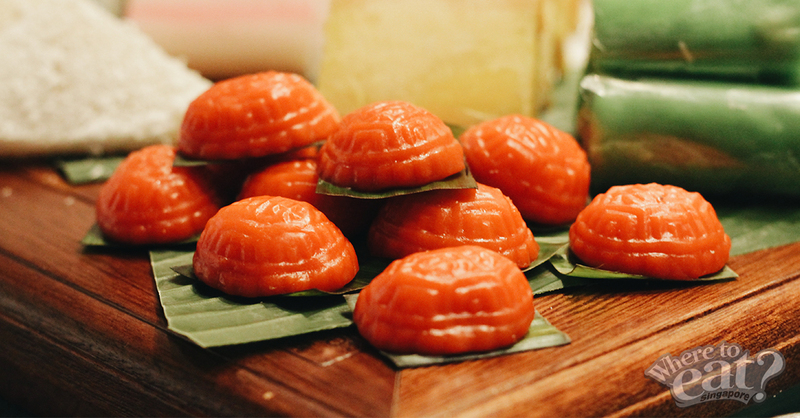 On the dessert table, the Ang Ku Kueh (aka red tortoise cakes) look like they are of typical size, but are actually adorably mini-sized – a perfect size for us to pop into our mouths and enjoy the chinese pastry without feeling too sinful, even after having had multiple rounds of food. 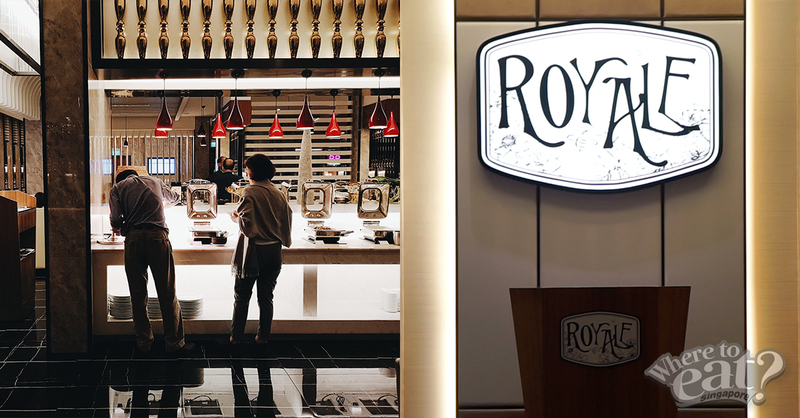 If you’re hanging around the Bugis area, don’t forget to check out the Royale Restaurant at Mecure Singapore Bugis and get your money’s worth with Royale’s daily dining deals at https://www.mercure-singapore-bugis.com/offers/save-the-day/! UOB cardholders can enjoy 1-FOR-1*. Terms and conditions apply.